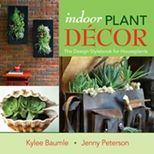 Whenever something new and fun pops up in the neighborhood, there's a lot of hoopla and to-do about it. Then time passes and locals settle in with whatever it is and it doesn't come to mind as often. That's natural, of course, because there's everyday life and no shortage of other things that occupy our time and our minds. But time does its thing in other ways too, including things that require effort in order to keep up appearances and remain that wonderful thing that stole our attention and even our hearts when it was shiny and new. 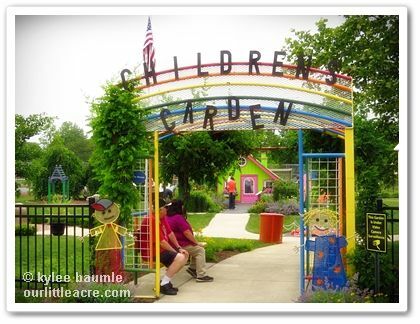 So it is with the Smiley Park Children's Garden in Van Wert, Ohio. 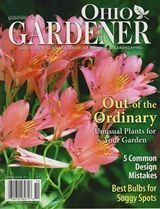 The garden was begun in 2005, as a project of the Master Gardener Volunteers of Van Wert County and if you've ever visited the one-acre corner of Smiley Park and spent any amount of time there, it's obvious just how much work is involved. It took hours and hours of volunteer time and mammoth efforts (and money) that were donated by area residents and business owners to make the garden a reality. And it still takes a lot of that to keep it looking good. 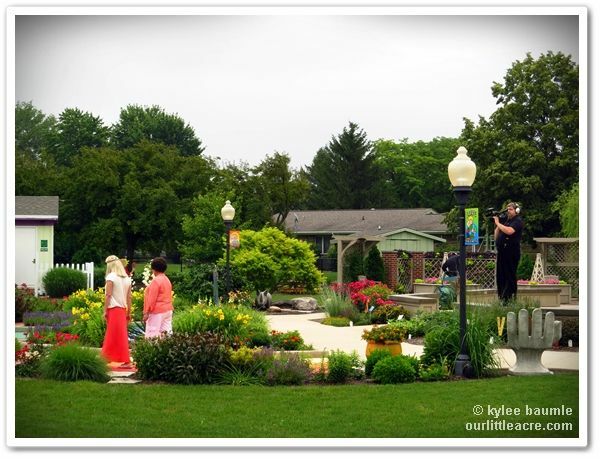 Today, the community of Van Wert and the Smiley Park Children's Garden was in the spotlight, being filmed by local PBS station, WBGU Bowling Green, for their regular feature, Scenic Stops. The host, Kathleen Phipps, and her filming crew spent about three hours talking with my mom, Louise Hartwig, and fellow volunteers, Ruthann Covey and Sue Heppeard. Sue is also the head of the Van Wert Parks Department and co-writer with Mom of Two Women With a Purpose blog. 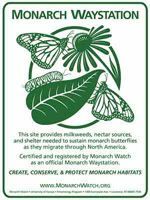 The focal point of the gardens is the Butterfly House, and thanks to Hearth and Home Assisted Living, several monarch and Painted Lady butterflies live there, feeding and reproducing in a protected environment that has native host and nectar plants growing inside. 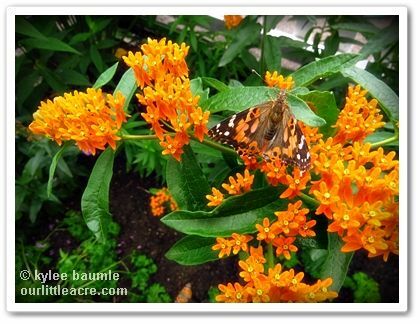 A Painted Lady butterfly rests on butterfly weed (Asclepias tuberosa) inside the Butterfly House. Three monarchs and a Painted Lady line up. 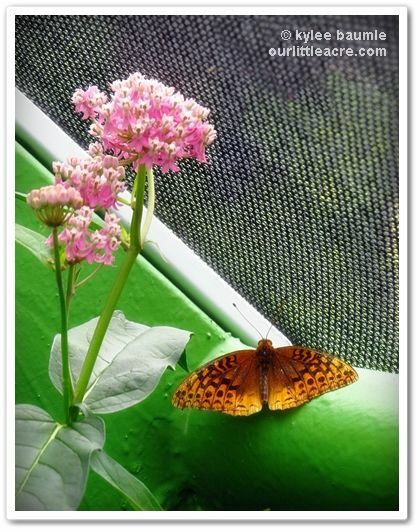 A Great Spangled Frittilary takes a rest near the swamp milkweed (Asclepias incarnata). With all the rain we've had this month, the garden looks especially beautiful and lush, but that too means that there's more work to be done with weeding, trimming and mowing. 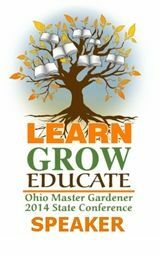 Thank you to all those who selflessly give of their time and energy to make the garden something for the Van Wert community to be proud of. 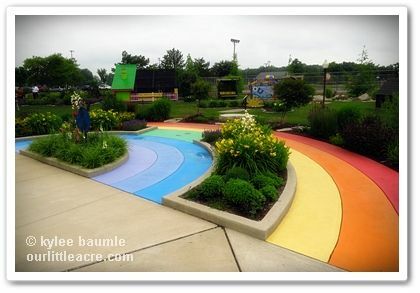 The Rainbow Garden features plants from around the world. 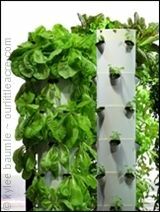 The Healthy Me Garden grows several edibles, which are harvested for the area food pantry. 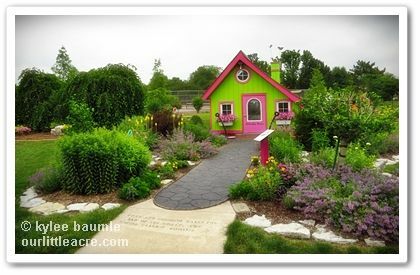 The Enabling Garden features raised beds which are more easily accessible for the gardener. 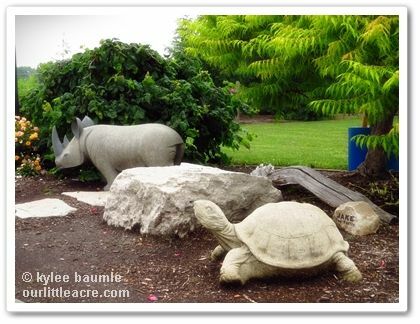 Every garden needs a rhinoceros and a giant turtle, don't you think? 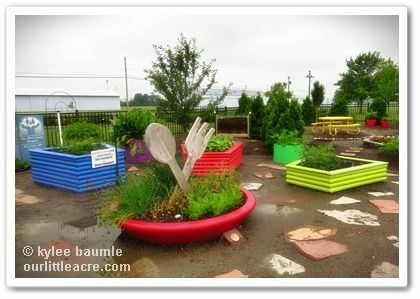 It was great to see Smiley Park Children's Garden get some recognition for being the Scenic Stop that it is and it will be fun to see it featured on TV. The program is scheduled to air sometime in November. 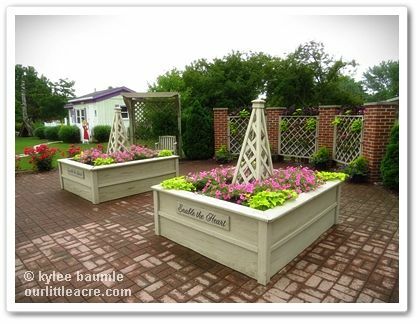 For more on how the Smiley Park Children's Garden came to be, read "A Dream Becomes a Reality." I remember when you posted about this garden's beginning. It is wonderful that they are getting recognition for doing such an amazing job for this community. How wonderful is that. What a beautiful garden. So many great colors. I love the rainbow sidewalks and the little houses. 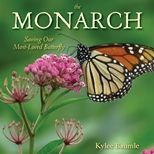 Butterflies are always such a favorite with kids too. Looks like a wonderful place to visit. So colorful and inviting.